It's the Big Red Bus, and it's come to take the Royal Family on a tour of London! With so much to see, the city is their oyster, with the Royal Family hopping off at the Natural History Museum, London Zoo, the London Eye and Tower Bridge. They even ride a water taxi to Greenwich, before it's finally time for - you've guessed it - a spot of shopping! 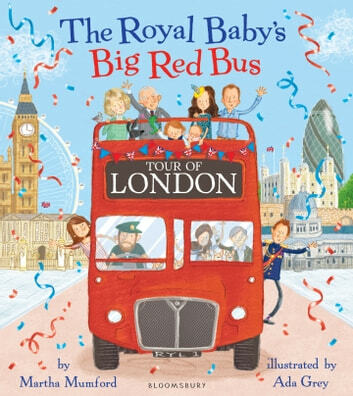 The Royal Baby's Big Red Bus Tour of London is the next installment in the brilliantly bonkers and fabulously funny Royal Baby series that's perfect for fans of London, the Royal Family and crackingly good stories. Hooray! It’s a New Royal Baby!